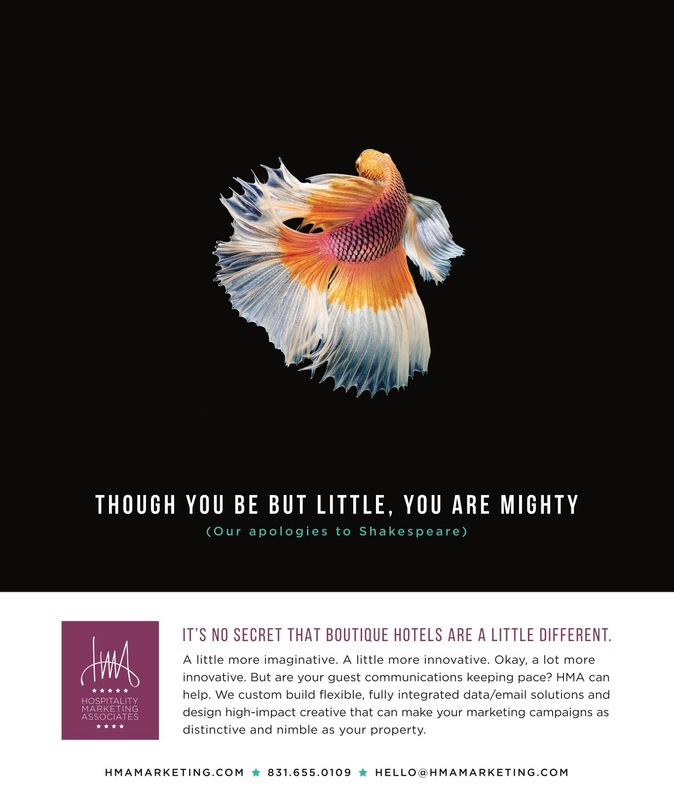 We created this ad to promote our bespoke, data-driven marketing tools in a magazine that serves the boutique hotel industry. In a publication full of the same sorts of images–beautiful people on a beach, beautiful people on a mountain, beautiful people at dinner–we took a different direction. The striking image, black background and playful approach to copy set this ad apart.